"Forever" might prove to be very apt, as another developer is linked to the notorious, but troubled title. Duke Nukem Forever is pretty much the Bigfoot of the gaming industry. Few people really believes it exists, but every now and then, new images emerge and everyone starts talking about it again. But this time it's not a picture of the elusive project that has people talking, it's a rumor that it's been spotted in a new habitat. Anonymous sources have suggested that work on the long delayed shooter is going on a Gearbox Software, creators of Borderlands and the Brothers in Arms series. 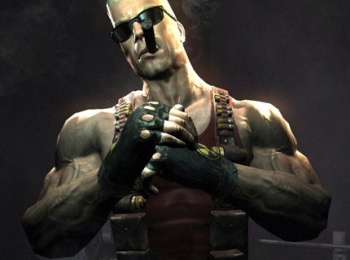 Obviously this is just rumor, but it isn't the first time that Gearbox has been linked to a Duke Nukem project, as it was revealed in court documents earlier this year to have been working on a game called Duke Begins. It's not impossible that that work is continuing on DNF, as earlier this year both Take-Two and Apogee - the legal name of 3D Realms - dropped their respective lawsuits, having apparently settled their differences out of court. Allowing Take-Two to assign another studio to develop the game - which Take-Two says it spent $12 million on the license for - might have been part of the settlement. If the rumors are true, then Duke Nukem Forever is in the hands of a very capable FPS developer, but after more than a decade in development, it's going to have to be something pretty special to make the wait worth it.